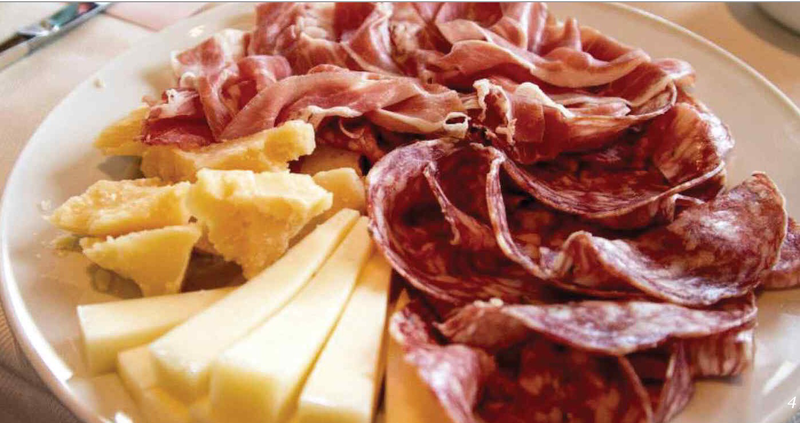 Join us in Northern Italy & the Riviera for food, wine and fun! Food, wine, beautiful sights and even a pasta making class!! The Cinque Terre in Northern Italy is an optional excursion while we are in the Riviera! We ♥️ Italy so much that we decided to take a small group back with us on a private tour to visit some places we’ve never been, along with visiting some of our old friends! Turin, Italian Riviera, Bologna, Verona, Venice and much, much more with a few side trips on our own!!! May 15-27, 2016. Join us on the trip extension in Venice! Remember, on our tour, you will be traveling with a couple that works in the food industry and a professional photographer to boot! I’ll gladly help you take better travel photos and even take some for you! A $300 deposit per person is all it takes to reserve your space to go with us on this amazing trip! Pay as you wish with balance due by 3-6-2016. It’s like travel Lay-a-way! Booking for our tour closes on soon! There will be few surprises for you along the way too! Q: How will we be getting around Italy? A: The tour company will provide us a luxury bus with a guide and bus driver that will be with us throughout the tour. 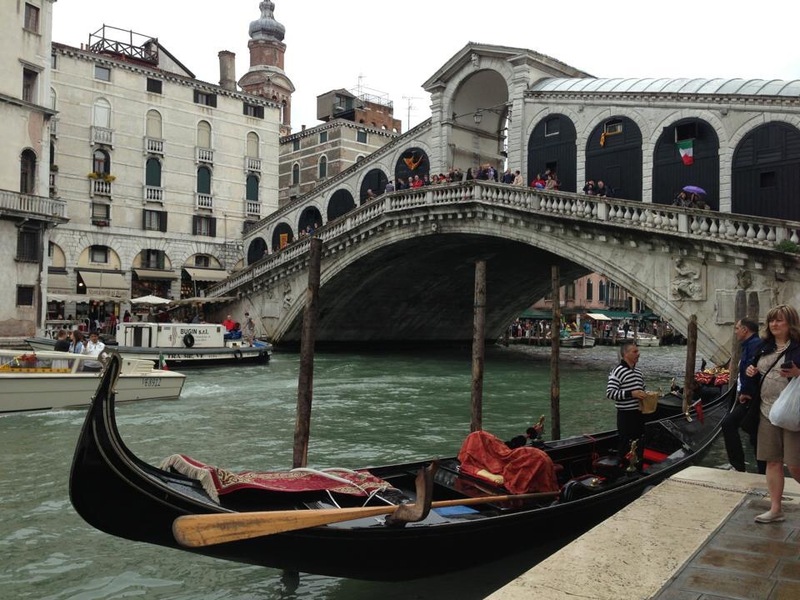 There will be boat rides along the Italian Rivera and in Venice. We will be walking around the city centers and other places. Definitely bring those walking shoes! Q: I’m thinking about going, but don’t have a travel buddy. Can I go alone? A: You betcha! We have several ladies coming with us without a spouse. It’s probably safest to travel this way to explore to world solo. You can pay a little extra and have your own room (as space permits) or be paired with another lady to share a hotel room. Ask me about sharing! We have someone looking to share now! Solo gentlemen also welcome! Q: What about booking our flights? A: The easiest way is to book your flights along with the guided tour. The tour company can get better rates because of the sheer volume of business they do with the airlines. Online, you just type in the airport near you such as DFW for those here in Waco. The price will come up and will be added to your total. It’s around $1400 per person. If you want to use miles or book your own flights, that’s perfectly fine! You can still arrange for a transfer from the airport in Milan to our hotel in Turin with the tour company. Just call them at their 800 number. Transfers inside Italy are included when you book your airfare with the tour company. Q: I’d like to take advantage of our airfare and go to Europe early or stay later. Can that be done? A: Sure thing!! Donald and I are both staying longer. All you have to do is call the tour company and let them know when you’d like to arrive or leave. Those of you that are staying with us, just need to let me know and I can tell the tour company. Q: How do I join your group tour? A: There are several ways to book. Which ever one you are most comfortable with is the best. 3. Ask me for a tour Réservation form to book and send a check in the mail. A: It’s easy! It only takes a $300 per person deposit to hold your space. You can pay whenever and how much you wish as long as it’s paid in full by March 6, 2016. You can pay with a credit card online or over the phone or mail a check. Q: What do I need to do to travel to Italy? A: You just need a passport to travel to Italy. Make sure you have at least 6 months left on yours at the time we leave. If you don’t have a passport, you can visit your post office and pick up a form or download a passport form from the State Department website. You’ll need a certified copy of your birth certificate and 2 passport photos that can be taken at the post office or Walgreens for a fee (around $10). Don’t try taking the photos yourself or using a snap shot. There are specific requirements which are best left to a professional. Fill out the forms, bring along your photos and birth certificate and pay the fee. If you are in Waco, the post office on Hwy 6 is the place you need to go to submit your application. They will answer all your questions and take care of you. Be sure to call for the passport hours and schedule an appointment. You should really get this done as soon as you decide to go. it may take 6-8 weeks to get them. For more information, visit the U.S. State Dept Passports web page. Information about renewing a passport is also on the site. Q: Which excursions are you going on? Can I book them later? A: Donald and I will be going along on both the optional excursions and on the extension to Venice. You can book the excursions later but I’d just go ahead and book now and save the $10 per excursion for booking early. They are things you’ll want to see and do. I strongly encourage everyone to take advantage of going to Venice! The price they charge for the hotel, travel, stops from Verona to Venice and the guided tour while there is less that I usually pay for one nights stay in a hotel there! Seriously, it’s an amazing place that you need to go to! Q: I don’t live in Waco or even Texas. Can I still go with your group? A: Anyone can join our little group! You certainly do not have to live in Waco or Texas or even live in the US. We make friends quickly and those interested in joining us are welcome! We have met and made friends with people from all over the world while traveling! It’s an amazing experience traveling with people that enjoy traveling, meeting new people and seeing and experiencing places that become forever memories. You can fly out of any airport and we will all meet up in Turin, Italy to begin our tour! When booking, just input your nearest international airport and the price will come up. If you call, just tell the operator your nearest airport. Super easy! Q: Is trip insurance available? If you love to travel a lot, like we do, I’ve found an insurance company that actually covers your travel annually rather than by each individual trip. I found it while booking a flight with Delta Airlines for another trip. I’m excited about it as the cost is just under one thousand dollars for both of us for every trip taken during the year. More about that after I look into it more or check out Delta’s website. Q: Are you going to~~~ insert your favorite destination? A: We will be taking groups to several places in the years to come! You are welcome to come along on any and all that we go on! We would like to go back to Israel and walk in the steps of Jesus. If you haven’t experienced this yet, it is a must! Truly life changing! This is a 10 day tour that visits Tel Aviv, Haifa, Lake Tiberias, Mount of Beatitudes, Capernaum, Gallilee, Jerusalem, Bethlehem, Mount Zion, Masada, the Dead Sea and through Jericho. Who would like to go with us? Thinking September or October of 2016. We will extend our stay and visit Jordan for four additional nights this trip too. What about France? France is always a good idea! Paris, Normandy and the Loire Valley are definitely something we will do! Maybe right after the Puglia and Southern Italy trip? We can combine two trips and save on airfare! Who’s in? Have a question not answered here? Just ask! Food, wine and friends enjoying Italy! Join us May 15-27, 2016! Reserve your spot now! 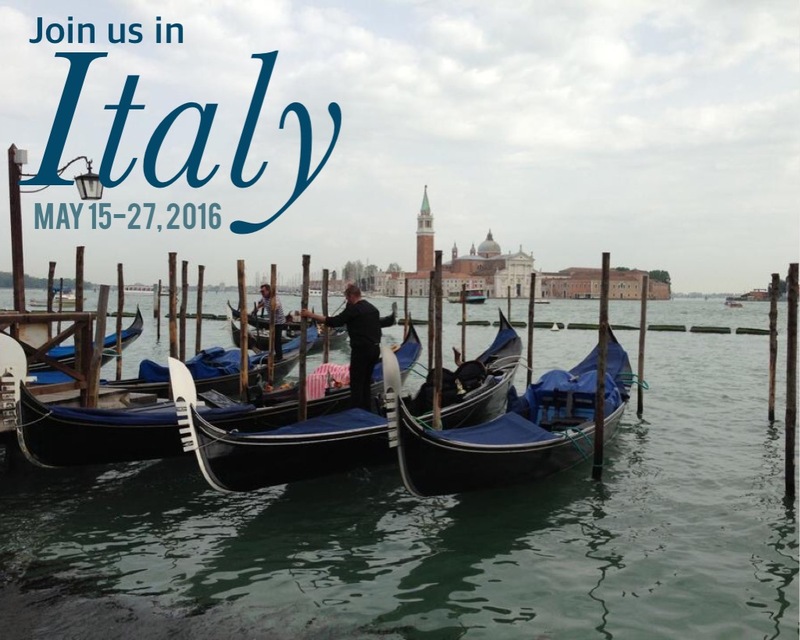 Join us in Italy May 15-27, 2016! 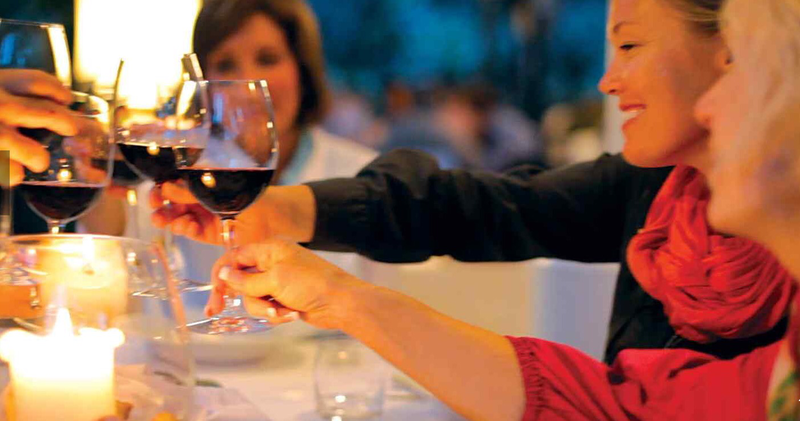 Only a few spaces left on this amazing small group food and wine tour! Valerie, you’re amazing. A blog too! Really excited about the upcoming trip, it all sounds wonderful. Thanks, Judy!!! It will be a great trip especially with friends like you going!!! Can’t wait!